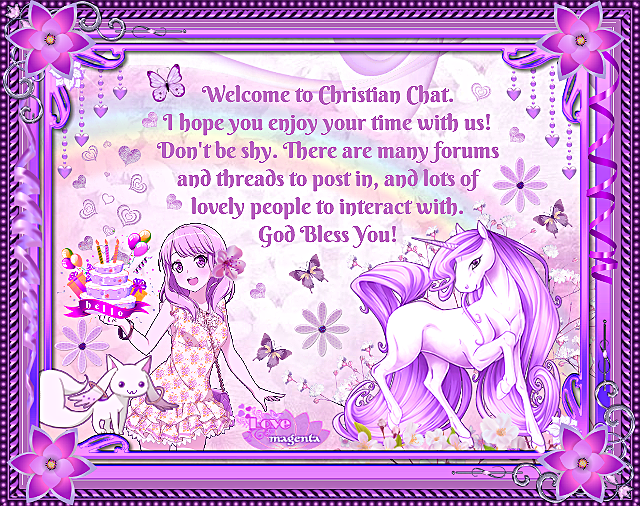 New Christian Chat Members (Introduce yourselves!! My name is Mike and I truly have a heart for all people on this earth to know G-d and His Messiah Yeshua/Jesus. It is evident that the church has done a wonderful if not an excelling job at reaching various nations (especially in the last 50 years), and spreading the word of G-d to the best of their abilities. But does it not stump you for one minute, that we are not reaching Orthodox Jews? One needs to go no further than any of the Gospels or Romans 11 to recognize one major part of being a "Christian" or "Follower of the Messiah", is to reach the Jewish people about their 100% Kosher/Jewish Messiah. To go even further, we know that Yeshua/Jesus has not completed the FULL mission of what a Messiah must do and the Jews call this Mashiach Ben Yosef (Messiah Son of Yosef) and he will need to return as Mashiach Ben David. Now, this is not to disregard the teachings of Sha'ul/Paul to the Gentiles and their non-observance of the Torah, but as Colossians 1:9-13 teaches us, we even as Gentiles have the Spirit to KNOW G-d's wisdom (Torah), in order to "provoke" Jews back to their Messiah. Question: Why are we either not reaching this goal of redeeming the Orthodox Jewish Community OR why are we not questioning ourselves for not fulfilling such a major part of our role, which will ring in the Messiah's 2nd coming? Hello Mike, welcome to CC. I hope you'll enjoy your stay here. Colossians 1:9-13 teaches us, we even as Gentiles have the Spirit to KNOW G-d's wisdom (Torah), in order to "provoke" Jews back to their Messiah. I suspect because our sensitivity to His leading has waned. We gather, we publish, we go, we rise to accrue all the right work but the noise of His hand isn’t esp-loud. We need Him not to accompany, but to empower to witness. For the Church itself is built and maintained by His presence! And that goes into the Body of His gifts, and that goes into the debilitating fact of His dis-jointed body, which is an impossibility though it seems many of us have made it our own heartfelt mission?? This belongs in the bible discussion forum, not the Introductions forum. Welcome to CC.. Sorry, one of those 'when the fires hot' moments. Can a mod move it?